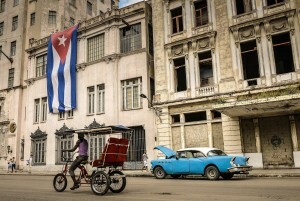 Last year, 4,035,577 tourists visited Cuba. HAVANA – Cuba and Portugal have signed a protocol of cooperation that stands to benefit tourism development in both countries. Cuba’s head of tourism Manuel Marrero and Portugal’s Secretary of State for Tourism, Ana Mendes Godinho, inked the agreement on Friday. Cuba’s tourism chief said the agreement created a new stage for joint cooperation on issues such as the use of Portuguese experience in the sector at a time when Cuba was experiencing a remarkable growth in the industry. Last year, 4,035,577 tourists visited the Spanish-speaking communist country. Mendes Godinho, who was in Cuba on a two-day visit, noted that the cooperation agreement would also enable student exchanges and shared experiences between the two nations. Her Cuban counterpart said that Portugal has 12 public tourism schools, which are considered among Europe’s best, and which could contribute to the training of Cuban personnel. He added that tourism could be an important element to further strengthen the ties between the two countries.